Kia ora and haere mai, welcome to the third instalment of 9mm for 2018, and the 175th overall edition of our long-running author interview series! 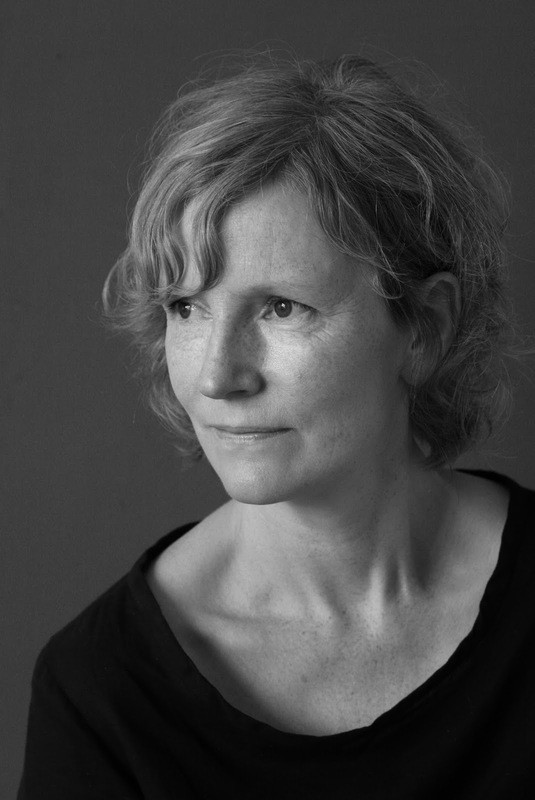 Today I'm pleased to welcome a new-to-me author to Crime Watch, anthropologist turned crime writer Clare Carson. 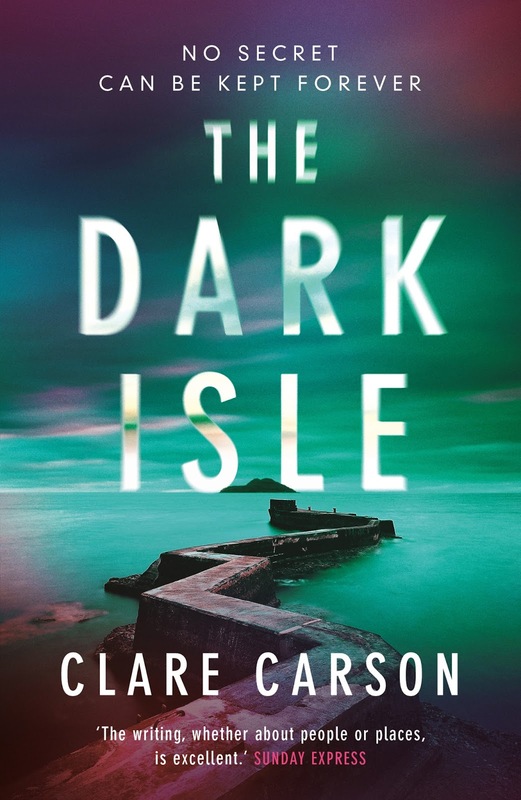 I've been reading Clare's third novel THE DARK ISLE this week, and enjoying it thoroughly. It's part of a trilogy Clare has written about university student Sam, whose father was a 'secret policeman' doing covert operations as the 1970s gave way to the 1980s. Carson hasn't had to look too far for inspiration and authenticity, as her own father was an undercover cop in the 1970s. "As a child, I knew he was doing something secret, but I didn’t know quite what," Clare wrote in a piece in The Guardian. After her father's death, Clare learned thanks to a 2002 documentary (which named him) that her father had been part of a secret police unit that infiltrated political organisations on the grounds of public security. Clare's childhood memories of their strange suburban life began to make more sense. Reading THE DARK ISLE, it's clear that Clare has infused her crime storytelling with a really authentic sense of what it must be like to live in such a family, where the choice of career or calling demands secrecy and maintaining a certain distance, even from those you love and care about. You can meet Carson at Granite Noir this weekend, where she'll appear onstage for the "When Bygones Aren't Bygones" event looking at mysteries hinging on deadly secrets from the past. But for now, Clare Carson becomes the 175th victim to stare down the barrel of 9mm. Michael Dibdin’s Aurelio Zen remains my favourite crime fiction detective. Apart from the fact that he taught me how to cook spaghetti aglio, olio e pepperoncino, I can identify with his motivation; he only solves crimes because he doesn’t want to be sent to some godforsaken part of Italy. He’s an avoider. And he’s funny, which makes him great company. Moominland Midwinter by Tove Jansson. Moomintroll is a small creature who should be hibernating, but he wakes up in midwinter to find himself alone in a strange, enchanted snow-covered land. It was probably that Nordic sense of cold and melancholy which grabbed me, as well as the magical descriptions of nature. The creatures that inhabit Moominland have difficult edges – Moominpapa is a depressive, the Hemulens are obsessive and the Fillyjonks suffer from anxiety. But that’s the point – everybody is different and difficult in their own way. I love all of the Moomintroll stories, as well as Tove Jansson’s novels for adults. Before your debut crime novel, what else had you written (if anything) - unpublished manuscripts, short stories, articles? I had a short story published when I was at school – which now seems like a couple of hundred years ago. Between then and the publication of my first novel, I spent decades as an anthropologist and researcher. My PhD is lying in some dusty basement of London University. The internet is littered with case histories, policy papers and research articles I have written. I realize now I’m an obsessive writer. I have to put my thoughts on paper and draft and edit until I exhaust myself. I can’t order the world the way I’d like it to be, so instead I create the worlds I want through ordering words on pieces of paper. I have two teenage daughters and two cats. I probably spend more time than I should admit talking to my daughters about the cats. Does that count as an activity? If I want to switch off completely, I go for very long walks. I don’t care where I walk – I just go. I live in Brighton – beside the sea. The pier and Pavilion are great, but if you have time, take a bus to the Downs - the hills surrounding the town. If it’s warm, lie in a field and listen to the skylarks. Or in the autumn, find a slope where the swifts are gathering, watch them swooping all around, and imagine you are flying. Claire Foy? She looks absolutely nothing like me, but I love watching her act, so that would make it a pleasure. Probably The Dark Isle because, to date, it’s the novel that turned out most like the one I had in my head when I started. I was in shock when I was first accepted for publication. It happened very quickly. I was thrilled, but also scared because I was offered a two-book deal and, of course, the contract required me to write the second book in a year. That seemed daunting at the time – like most authors I’d spent ages working on my first novel. I don’t think I’ve had a strange experience at an author event. I still can’t quite get over the fact that people turn up to listen. Thank you Clare, we appreciate you taking the time to chat to Crime Watch. You can read more about Clare Carson and her crime writing and interesting family history in this feature in The Guardian, or come along to Granite Noir and meet her in person this weekend, on Sunday 25 February 2018.